Update your native PandaDoc integration with Salesforce. Now available on the Salesforce AppExchange! Learn about PandaDoc compliance with GDPR requirements. 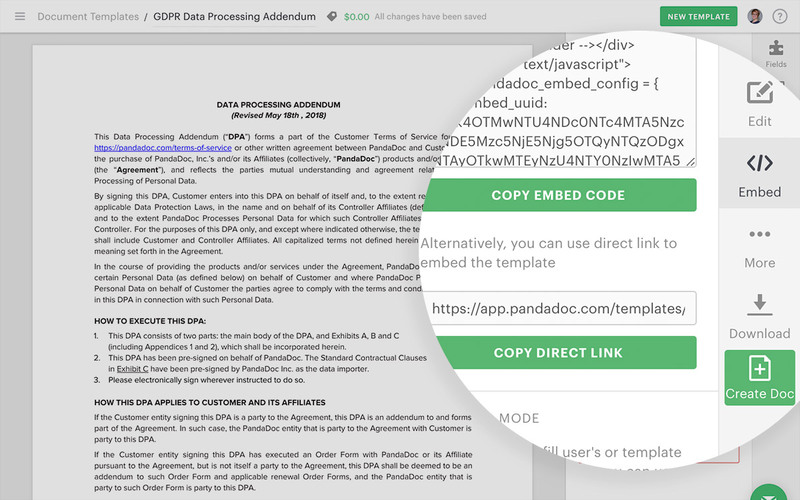 Time-saving tip: integrate your Data Processing Addendum (DPA) form with a webpage to collect signatures with the PandaDoc embedded template feature. Going paperless with sales documents is an essential step towards sales workflow automation. 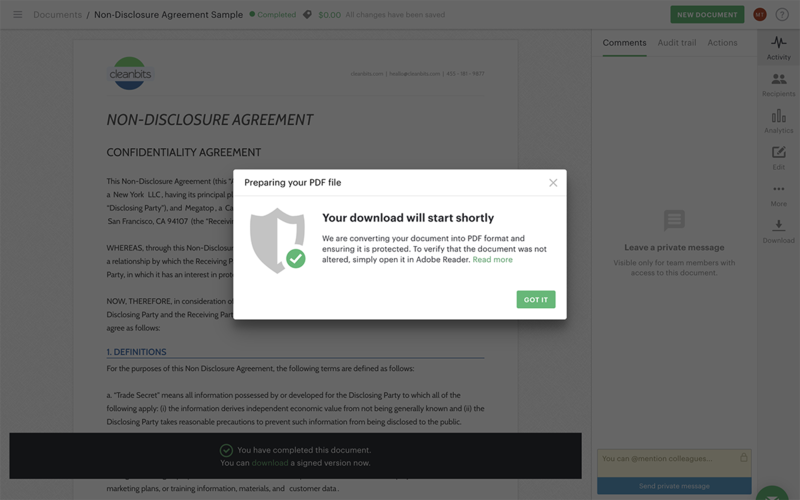 At the same time, digital documents might need an extra layer of protection from unauthorized edits, especially after they are approved and signed. To ensure your PDF copies are authentic, we’ll process your completed documents so you can easily check if the PDF has been edited post-signature. Just open the PDF in Adobe Reader to verify that the signature in the document is valid. This means that the document was not changed after it was downloaded from PandaDoc. 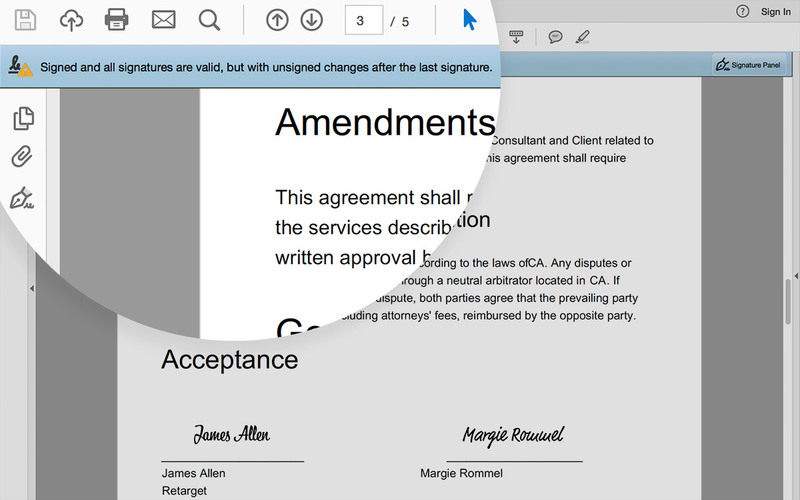 If the document was changed, even if it was only a single character, you’d see a notification in the signature bar on the left. All newly created documents, and documents completed from here on out will be processed with the new protection algorithm, making them the source of truth. For previously completed documents, you need to re-download the completed version from your PandaDoc account. No action is necessary to enable this – all documents moving forward are Protected PDFs, for every PandaDoc user. We’re happy to announce that PandaDoc is now available on the Salesforce AppExchange marketplace. Now you can get the latest Salesforce managed integration package of PandaDoc in this a one-stop shop. And as a Salesforce partner, we can better help with integration troubleshooting. Customers can provide support access without sharing credentials, the same way they do for Salesforce support. Contact our support team (support(at)pandadoc.com) or submit a ticket within the app if you want to give the integration a try or need help updating your current integration. PandaDoc is relentlessly committed to the security and privacy of our customers, and we stand ready to adhere to GDPR requirements. Whether it’s encrypting data or securing data in transit and at rest, we want you to have full confidence in how your user data is being collected, transported, and stored. We’ve completed extensive research and created a resources page with detailed information explaining what GDPR is and how PandaDoc is compliant. If you are an organization that does business in Europe, you must sign our Data Processing Addendum. 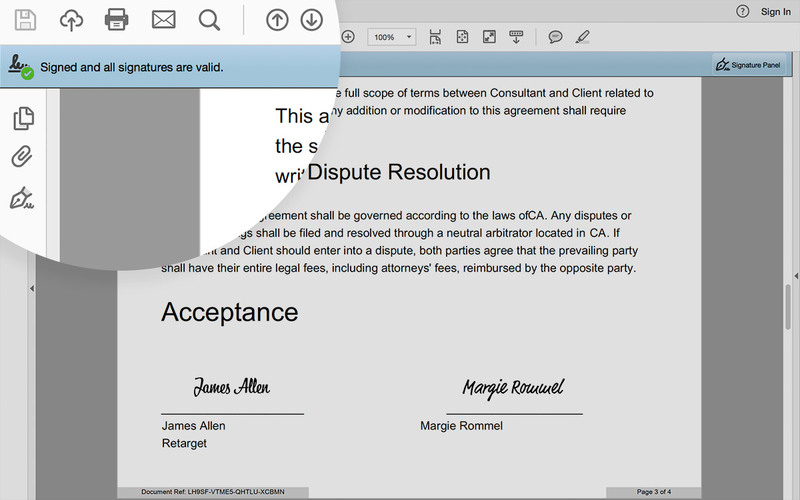 Here are some tips on how to collect digital signatures for your DPA template. The first option PandaDoc users can exercise is to embed their DPA template into a webpage and share the link for singing. Check out this link for a live example of how PandaDoc put this feature to use. Ready to embed your DPA document? Follow these simple instructions. The feature is available for Enterprise plan users. Another option is to use our Bulk Send feature to send up to 1,000 personalized documents at once. Just create your DPA template with pre-populated customer data. Check this FAQ article to learn more (available for the users with Enterprise plan). Test drive this month’s updates by logging into your PandaDoc account or starting a free 14-day trial.